Are you ready to dress up your favorite friend in a magical new outfit? 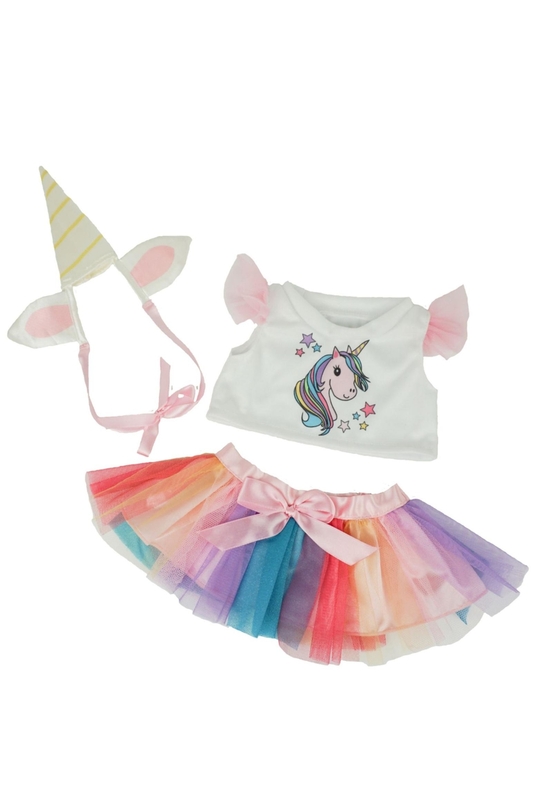 This adorable ensemble features a unicorn graphic top, tutu skirt and a unicorn horn hat. Designed to fit stuffed animals from 14”-17" (35-43 cm) from Build a Bear, Teddy Mountain, The Bear Factory and more. Bear Factory products are tested each year to make sure they comply with any and all toy industry standards including ASTM-F963 and EN-71 certification. Surface washable, air dry. Recommended ages 3 and over.